Recent research shows that schools that successfully engage families find that their students earn higher grades, score higher on tests, develop better social skills, and are more likely to graduate. The Family-School Relationships Survey was developed at the Harvard Graduate School of Education to provide schools with a clear picture of family attitudes about several key topics. Schools can use the Family-School Relationships Survey to gather feedback while effectively engaging parents and guardians. Developing parents’ capacity to contribute to their children’s learning is an important factor in promoting positive student outcomes. 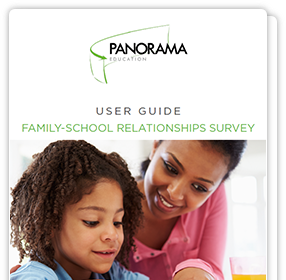 Designed as a series of scales—groups of questions that capture different aspects of the same underlying theme—the Family-School Relationships Survey provides educators flexibility in measuring an array of aspects of parent attitudes. The survey is designed to be used by principals, district staff, school boards, state departments of education, or parent/teacher organizations. The survey can be administered to any K-12 school community (public, private, independent, charter, urban, or rural) and has already been used by thousands of schools nationwide. The survey is available in 10 additional languages, including Spanish, Portuguese, Mandarin and others. 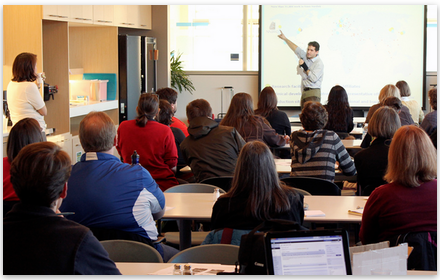 For schools and districts interested in advanced survey programs, learn more about our products. The degree to which families become involved with and interact with their child’s school. Families’ perceptions of how well a school matches their child's developmental needs. Families’ perceptions of the amount of academic and social support that they provide their child with outside of school. How confident families are with regard to key parenting skills. Perceptions of the overall social and learning climate of the school. Perceptions of how well students are able to persevere through setbacks to achieve important long-term goals. Factors that can create challenges for families to interact with or become involved with their child’s school. Perceptions of who should be primarily responsible for school success. Perceptions of student physical and psychological safety at school. Dr. Hunter Gehlbach led the development of the Family-School Relationships Survey at the Harvard Graduate School of Education. Joining the research team were Co-Principal Investigators Dr. Karen Mapp and Dr. Richard Weissbourd, both leading experts in family-school relations. Through a rigorous development process, the research team designed the survey with an extensive literature review, focus groups, synthesis, expert review, and cognitive pre-testing. For more information on the survey's research methodology, read the research papers: Measuring Parent Perceptions of School Climate and Assessing Parent Perceptions of School Fit.